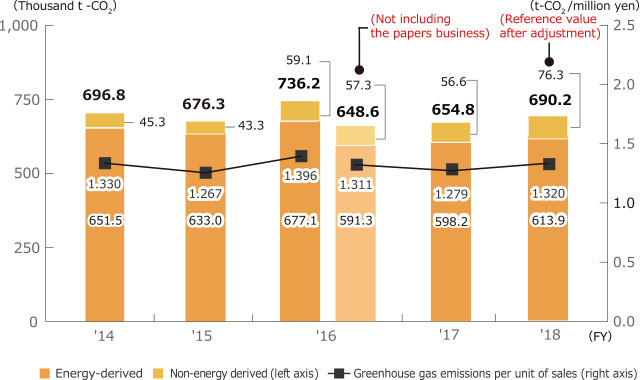 The Nisshinbo Group’s greenhouse gas emissions amounted to 654,800 tons of CO2, down 11% year on year, due to the transfer of the papers business. Greenhouse gas emissions per unit of sales were also down 8%, to 1.279 tons of CO2 per million yen. Excluding the papers business, greenhouse gas emissions increased by 1% year on year and greenhouse gas emissions per unit of sales decreased by 2%. Perfluorocarbons (PFCs) composed 65% of non-energy derived greenhouse gas emissions. 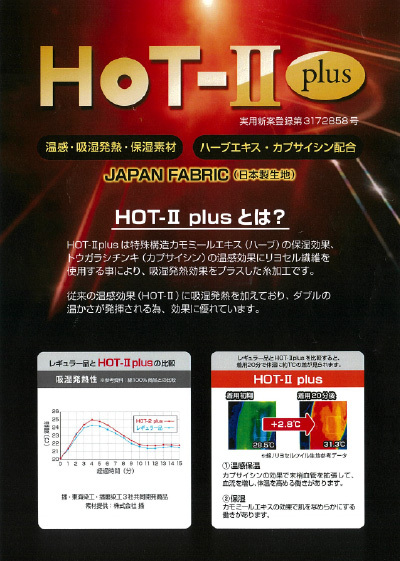 New Japan Radio Co., Ltd.’s electronic device product manufacturing process was the primary emitter of these PFCs. 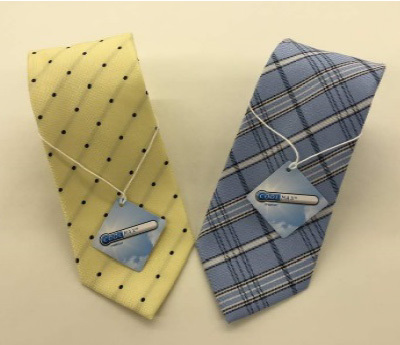 In greenhouse gas emissions by business, the textiles business accounted for 35% of total emissions while the automobile brakes business accounted for 28%. Emissions in Japan accounted for 35% of greenhouse gas emissions. For calculating greenhouse gas emission volumes, the CO2 emission conversion factors as defined in the "List of Calculation Methods and Emission Factors for Calculation, Reporting, and Publication" published by the Ministry of the Environment and based on the "Law Concerning the Promotion of the Measures to Cope with Global Warming" are used. We also use the coefficients provided by the producer for coal. The alternative conversion factor from the “Fiscal Year 2016 CO2 Emission Factors by Electric Power Supplier” has been used. We have retroactively recalculated all reported years with the factors listed above. 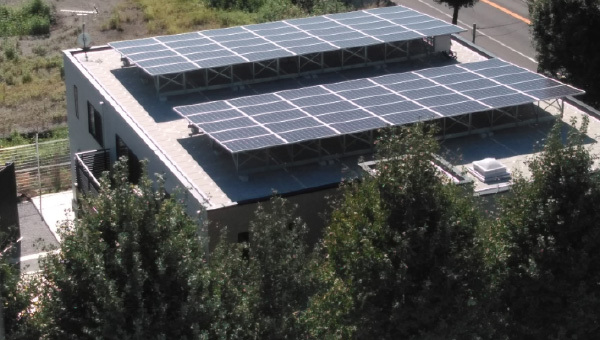 Operations of photovoltaic modules installed by the Nisshinbo Group remained steady throughout fiscal 2017, generating 4.91 thousand MWh of power. Nisshinbo Chemical Inc. developed products that utilize hydroflyoroolefins (HFOs), which have a global warming potential* of one, rather than hydrofluorocarbons (HFCs) as a foaming agent for rigid urethane foam. The global warming potential of HFOs is less than 1/1000th that of the HFCs we had used before. In fiscal 2017, we converted 12% of our sales of rigid urethane foam to products using HFOs. Moving forward, we will continue to contribute to global warming prevention by switching to new products with the approval of our customers. * Global warming potential: A number that represents the capacity of a substance to contribute to global warming based on CO2 levels. The carbon alloy catalyst that Nisshinbo Holdings Inc. develops was used by the Canadian fuel cell manufacturer, Ballard Power Systems Inc., for its portable fuel cells, making the catalyst the world’s first non-platinum catalyst to be put to commercially viable use in proton-exchange membrane fuel cells* (PEFCs). Carbon alloy catalysts use carbon, instead of the scarce resource platinum, as their principal raw material, making industrial production and stable supply of them possible. Moving forward, the company will further improve its carbon alloy catalysts, develop new uses for them to expand their market and, with the spread of PEFC use, contribute to the realization of a hydrogen energy-based society. * Proton-exchange membrane fuel cells (PEFCs) are fuel cells that use a polymer electrolyte membrane. They can be miniaturized and lightened and are used as fuel cells for home use and in fuel cell vehicles. 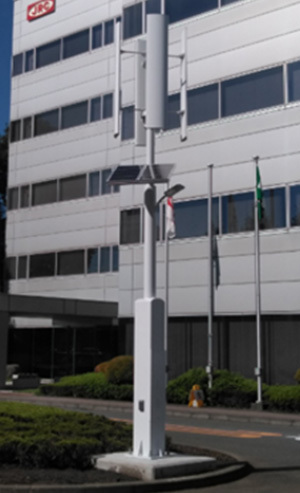 Recently, Japan Radio Co., Ltd. developed a phased array* weather radar that makes early warnings regarding abnormal or extreme weather possible. In recent years, the risk of natural disasters due to localized heavy rain from cumulonimbus clouds, such as floods or gusting winds, has been increasing. Obtaining three-dimensional models of quickly developing cumulonimbus clouds was difficult using previous weather radars that only conducted planar measurements. This new weather radar is equipped with several antennas each of which control electromagnetic waves, enabling fast and three-dimensional measurement of cumulonimbus clouds. With this radar, it is possible to quickly detect cumulonimbus clouds, predict heavy, localized rain and contribute to reducing the impact of natural disasters. Indonesia’s PT. 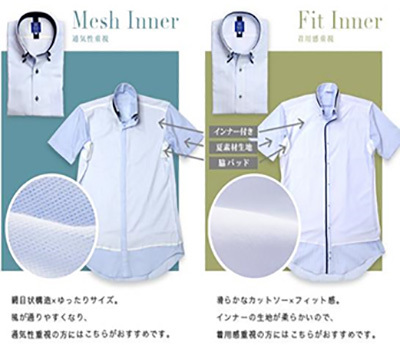 Nikawa Textile Industry and Nisshinbo Textile Inc. promoted the installation of high-efficiency looms as business partners in the funding operation JCM*, which is promoted by the Ministry of the Environment as a carbon offset initiative between the two countries. We installed 27 JAT810 air jet looms (looms that use air propulsion to insert weft thread) from Toyota Industries Corporation, which are energy-saving looms that use 20% less of the compressed air required to feed the weft thread inside than looms used previously. Additionally, these looms can perform highly difficult weaving that was not possible with earlier machines at a high speed and are therefore expected to rapidly improve productivity. We predict that these 27 looms will reduce yearly CO2 emissions by 439 tons of CO2, 10% of which (43.9 tons of CO2) the two companies will receive as credit. * Joint Crediting Mechanism (JCM): A bilateral credit system that aims contribute to sustained development in industrializing nations by accelerating the spread of superior low carbon technology, products, systems, services and infrastructure as well as the implementation of carbon reduction activities.